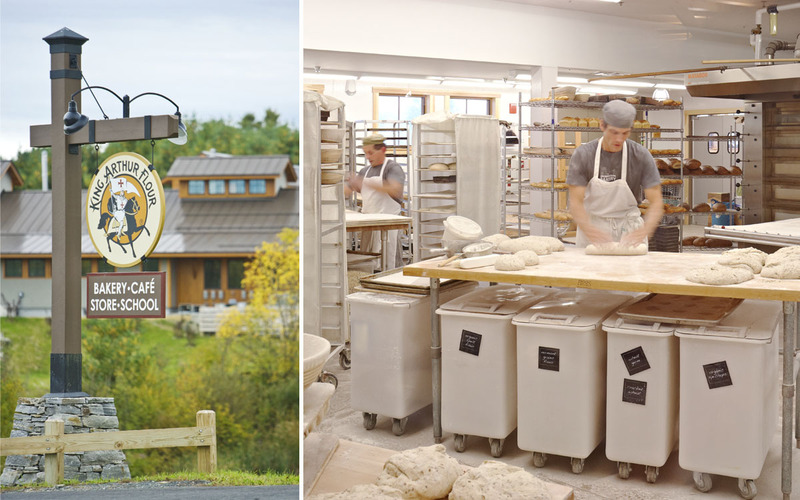 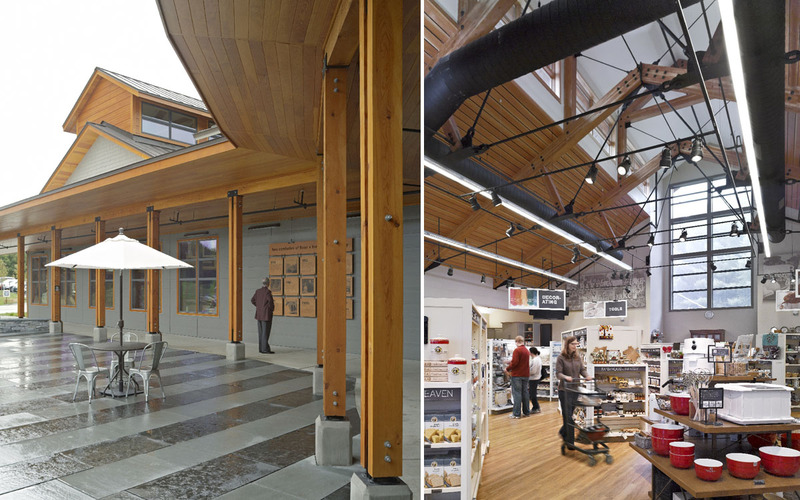 This major expansion to King Arthur Flour’s Norwich, VT campus provides a welcoming and memorable destination to the thousands of dedicated baking enthusiasts who visit every year. 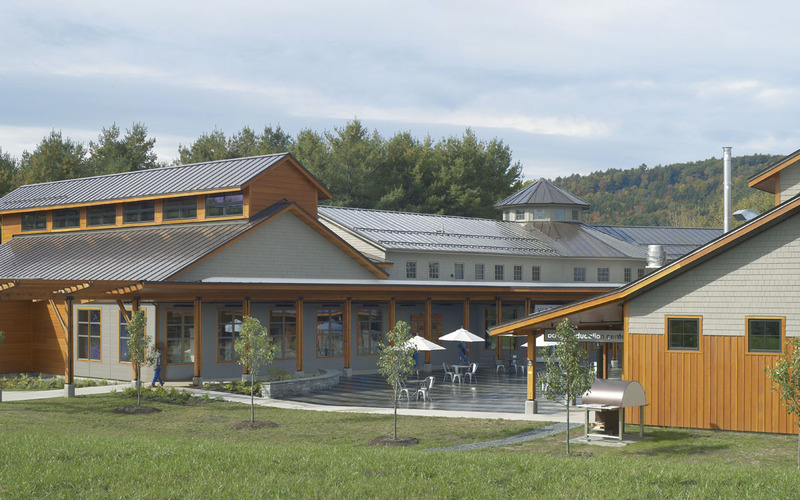 The building is crafted in the tradition of purposeful farm structures grouped and carefully nestled into an agrarian landscape. 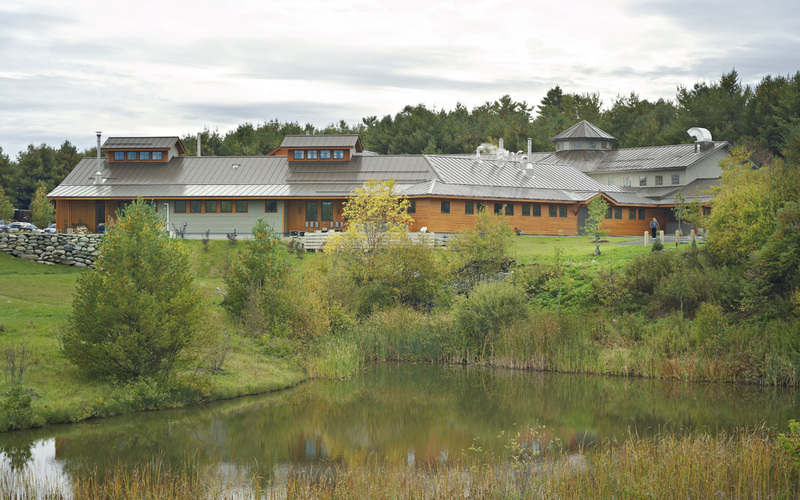 The site reveals itself as the visitor approaches along the entrance road, and the building peeks out from behind the mount of designed meadows. 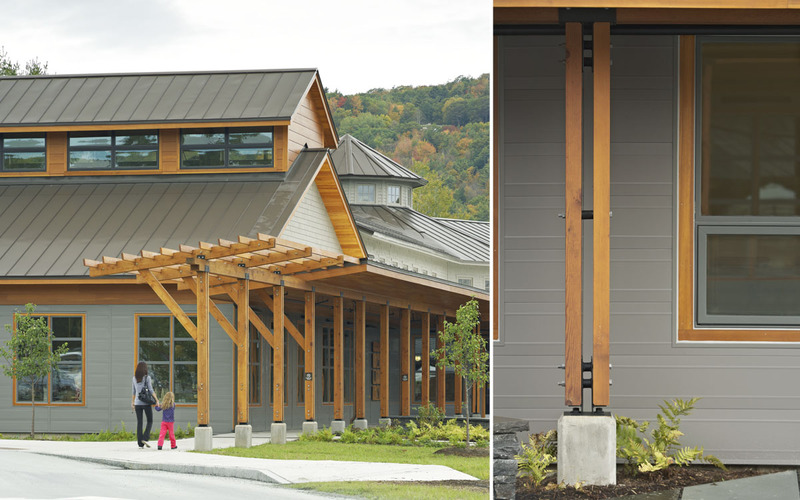 The materials and details are inspired by the existing timber frame structure, deliberately reinterpreted and expressed in a more modern form.